Using the wrong bottle of spotter to clean a stain on a carpet or rug has led to many bleach stains. Accidents and mistakes happen every day, but don’t worry. Most bleach stains can be corrected back to the original colour. In this video, learn How to Repair Bleach Stains in Carpet & Rugs! At the present time we will not be offering the service of on-site color repair. 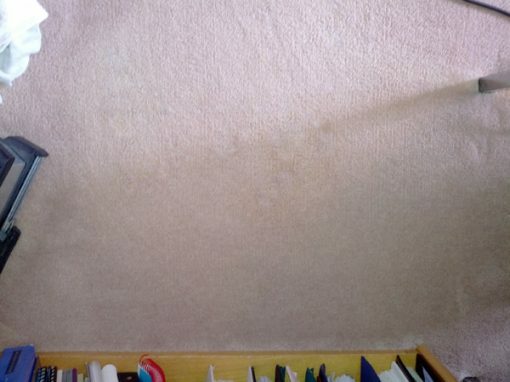 Here is an example of a carpet that got bleach dumped on it and we got it back to being very close to the original colour. Hi, have you ever spilt bleach on your carpet and you thought you ruined it? You probably didn’t. We have a lot of customers calling, seeing whether or not we can repair that, and we can. Let us show you how in this little video. Because dye’s are transparent, we layer multiple colours to match the colour of your carpet. With a collection of more than forty dyes, we can match any carpet colour. So give us a call at 613-232-5110 or email us at office@peacockrugcare.ca. We’d be happy to serve you. 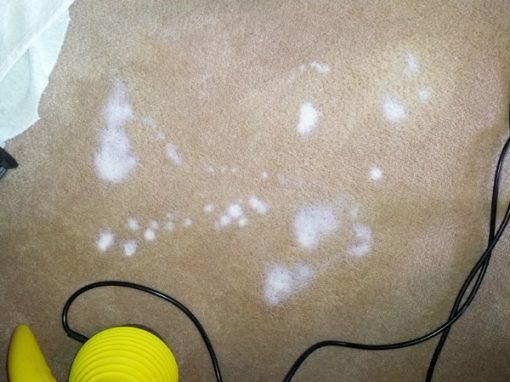 We hope this helps you understand How to Repair Bleach Stains in Carpet!